Hey everyone – in honor of today being Valentines Day I have asked my good friend Julia Carvalho (a name you might recognize from a previous post) to write a guest post for my blog. Her story is truly amazing and a testimony to God’s goodness and faithfulness! She has a love story that only God could’ve written and the first time I heard it, I was beyond inspired – and I believe that this story will inspire you the same way it inspired me! So, without further ado, here is her incredible post and story! Once upon a time, there was this girl. When she was thirteen-years-old, she read this cheesy romance novel and the main character mentioned that she had letters for her future husband. As a thirteen-year-old, nothing sounded more romantic than writing letters to a man she didn’t even know existed. However, even though she didn’t know who he was, she knew that God had already set him apart for her. So, her first entry in her designated “Dear Future Husband…” notebook was not a love-letter, but instead, a prayer. A prayer that God would bring them together in His perfect timing, a prayer for strength for both of them to stay pure and follow His ways, and of course, at thirteen, a prayer that he was the most handsome man on the planet. As the years went by she continued to write prayers and letters in this little notebook. She would write about her day, what was going on in her life, her struggles, her victories, really wishing she could look into his eyes and speak to him instead of gliding her pen through her pages. Fast-forward to holiday season 2017…or maybe a little before then. She was eighteen- years-old now, and it had been three months since her family had moved from the one city she had ever known, and she was still heart-broken. Finally, by November, Jesus worked within in her in ways that only He could move, and she realized that she was never alone, that through it all, Jesus was right beside her, holding on to her and guiding her. 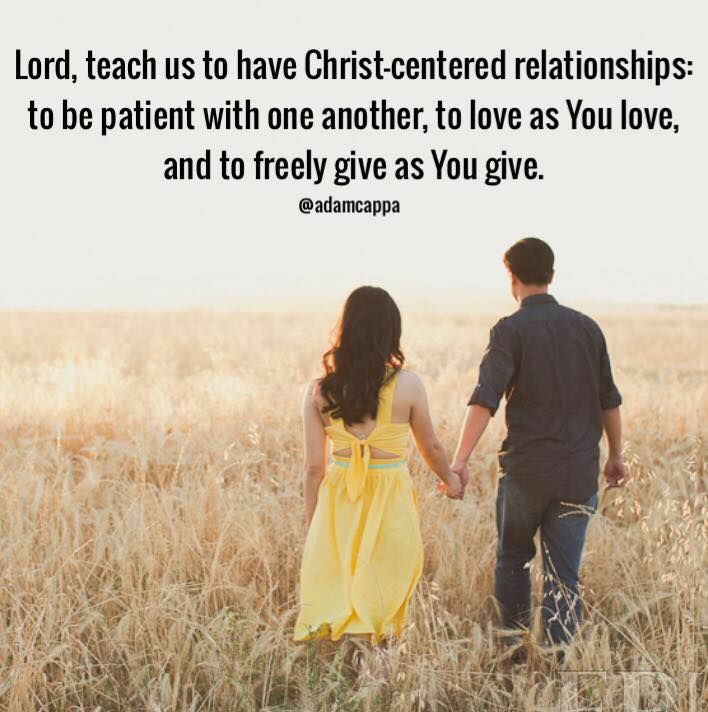 So, despite craving a romantic relationship so badly, because all her friends were starting to date, she decided that she was content with just Jesus. If that was all she had in her whole life, she would be content. main character’s life following her through her college years. In the second book of the college series, the main character tells God that she no longer wants to hold the key to her heart. She no longer wanted to decide which guy could come in, because they ended up just leaving a mess in there. So, the character gave God the key to her heart and decided to let Him decide when the time was right. The girl from our story thought that was beautiful, and it was the same sentiment she was feeling in the weeks before, so she prayed the same prayer. For the first time in her life, she truly felt satisfied. And honestly, she thought that since she had prayed that prayer, God’s perfect timing would be lightyears away and she wouldn’t have to worry about boys for a very long time, but, my friends, was she so very wrong. Not even two weeks later her parents tell her that one of her dad’s lifelong friends from Brasilia (the capital of Brazil) was going to be in Orlando during Christmas time and they would be spending Christmas together. She was so mad. Finally, Christmas Eve arrives and the families are introduced. Long story short, girl meets boy, girl hates boy and thinks he is a stuck-up brat (boy also dislikes girl). Next day, boy is super sweet and genuine and girl’s heart melts, girl says boy looks like a homeless man who found his clothes in the dumpster (hey, I guess no one told him you shouldn’t wear a super hole-y shirt on Christmas), girl is embarrassed she just called the cutest boy ever a hobo, boy laughs and thinks girl is so incredibly cute and loves her honesty, boy and girl try to get families to hang-out as much as possible during the holidays, boy falls in love with girl, girl falls in love with boy, boy flies 2,000 miles back home to California… *record scratches* wait, what? So, in case you haven’t caught on yet, the girl in the story is me, and we are at the most heart-breaking part of my story. I had finally met a boy who had the same passions as I did, who loved Jesus as much as I did, and who actually liked me back, but now he was flying across the country to go back to school. He would probably forget all about me as soon as he landed. He would definitely find a girl who was prettier than me and funnier than me. Why would he even want to be with me when we lived 2,468 miles apart (yes, I actually looked it up). I definitely knew I wanted to date him, but I was so fearful that I was just falling into feelings and not into God’s will for my life. I was scared because I had never felt this way about a boy before. I had never been in a relationship before him, so everything was new. It was beautiful, and exciting, and terrifying. Eleven hours later, he found me on Instagram and sent me a DM. But then I was like, “Okay, God, but come on, it’s social media. Anyone could have found me there. So, if this boy asks to pray with me, then I’ll let him keep pursuing me.” Because what twenty-three-year old boy asks a girl he likes to pray with her? Three days later, he asks if I would be okay with us taking turns praying every time we talked (we sent a lot of audio messages praying to each other). “Okay, God, I see You. BUT I’m not sold yet, so, if he asks to read the Bible with me, I’ll let him keep pursuing me.” 24 hours later, he asks me if I wanted to start a devotional with him on YouVersion. And my prayers went on for weeks, each time I was bolder and I was more specific in my requests. God never ceased to amaze me. He answered every single one of my crazy prayers within 24-72 hours. It was mind-blowing to me. Little did I know, that by answering those requests, God was allowing me to be pursued by a man that I deserved. One month and half of texting constantly, facetiming for 4-6 hours at a time, and tagging each other in memes on Facebook, he flew back to Orlando to ask my dad if he could date me. (Girls, take notes. Men like this actually exist in the world. Wait for them.) Tomorrow, February 15, Davi and I will have been dating for one year. I can honestly tell you that there were moments in my life before him that I wanted to date any boy that looked at me just because I wanted to be in a relationship. And I can honestly tell you that I am so glad that I gave God the key to my heart in those moments instead of letting my flesh takeover. Women, I beg of you, wait for the one who God has set apart for you. Wait for the man who will take you to Magic Kingdom on your first date because you love Disney, even though he couldn’t care less for the Mouse. Wait for the man who will fly out and surprise you to help your family move. Wait for the man who will hold you while you cry, but who will look you in the eye and tell you the truth even when you don’t want to hear it, just because he knows it will make you a better person. Wait for the man who sees your beauty in Christ, and who wants to treat you with honor and respect. Wait for that man, because he is out there and so worth it. Men, I beg of you, wait for the one who God has set apart for you. Wait for the woman who will go to a double-header soccer game to watch your favorite team with you, even though she doesn’t really understand the game. Wait for the woman who tells you what you are worth, because you deserve to be treated like a king. Wait for the woman who buys plane tickets to fly out to your sister’s wedding in Brazil. Wait for the woman who sees and respects you as leader in Christ, and who wants to trust and follow your lead. Wait for that woman, because she is out there and so worth it.